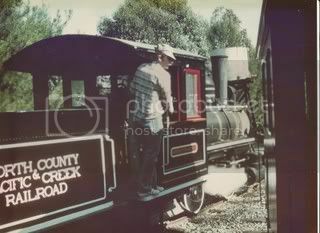 The North County & Pacific Creek Railroad is a private 3 foot gauge backyard railroad located in San Diego County. The railroad is owned by Bobby and Randy Babcock and was started in 1975. The collection includes a 1920 16 ton 0-4-0 Porter, a 1923 Porter Fireless, a 1953 6 ton Plymouth diesel and a 1969 5 ton Plymouth gas mechanical. The rolling stock includes ex-Rio Grande freight cars, SP boxcar #54 a Carter Bros. car, SP boxcar #21 a Hammond Bros. car, 2 Gregg Oahu Sugar Co. cane cars, and several cars from Apache Powder Co. and Crown Zellerbach. The largest car is C&C #2 which was used by Yerrington. It rides on trucks cast by the V&T in the Carson City facilities and has been totally restored on the exterior. It will be moved from its location in Orange to its trackage sometime this year. 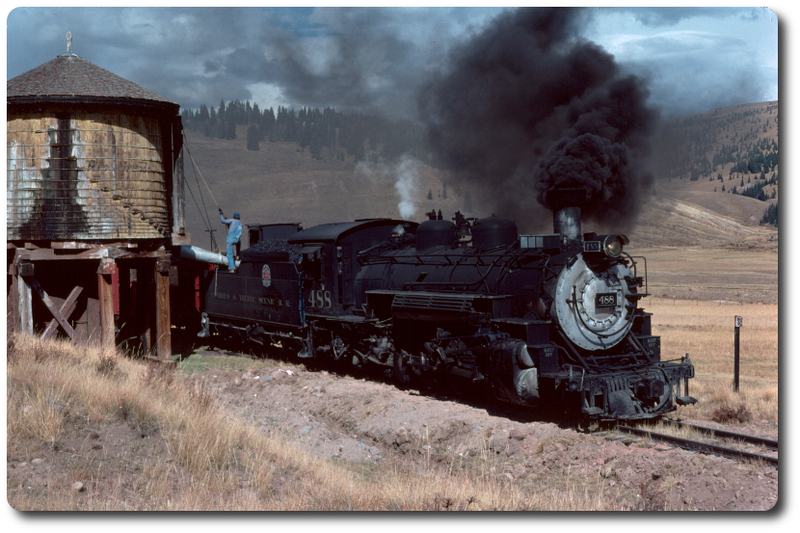 The #5 which is the 1920 Porter was purchased from Short Line Enterprises in 1976 and saw a total rebuild with the forney configuration changed to a 0-4-0 with a short tender. The railroad runs several times a year depending on weather conditions and how dry the area is since the #5 is wood-fired. Orginal member of engine crew, North County, Pacific and Creek Railroad. Conductor, Pacific Coast Railroad at the Santa Margarita Ranch. Retired Firefighter, Collector of RGS memorabilia, and narrow gauge toys.